The unicorn hair your mom will say yes to / 76 Style review ft. Caffe crema | C A N D A C E .
okay...maybe not all moms, but my mom sure said yes! 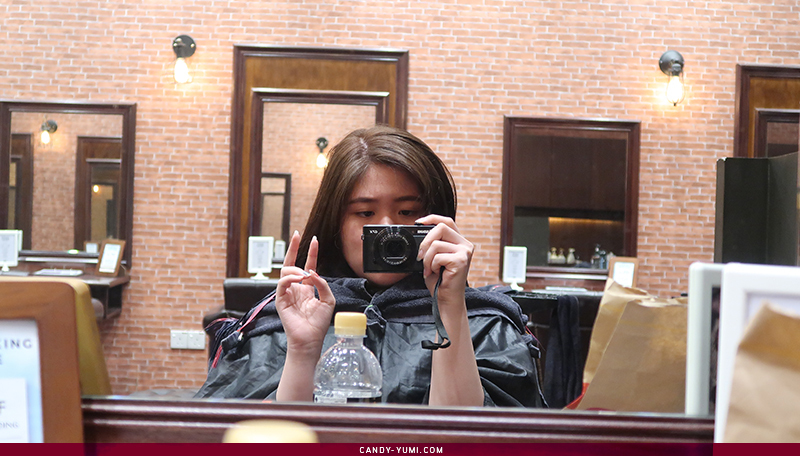 Two days ago was an off day from class and I've decided enough is enough, I need a break from all this built-up stress / busy schedule etc, so I booked a slot at my current go-to salon. 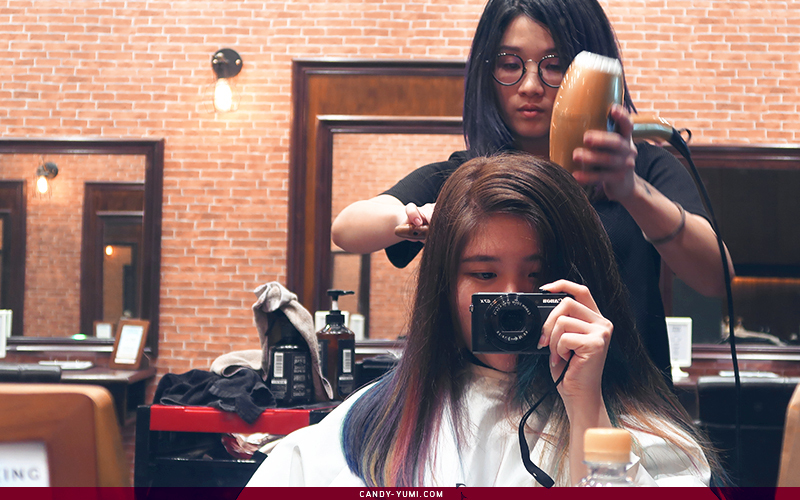 ( though I probably visit a salon 4 times a year max LOL) Prior to my visit I've been discussing with my mom what colour I should get and even joked that I might just leave the salon with ash brown hair despite initially proposing blue/green hair to her! 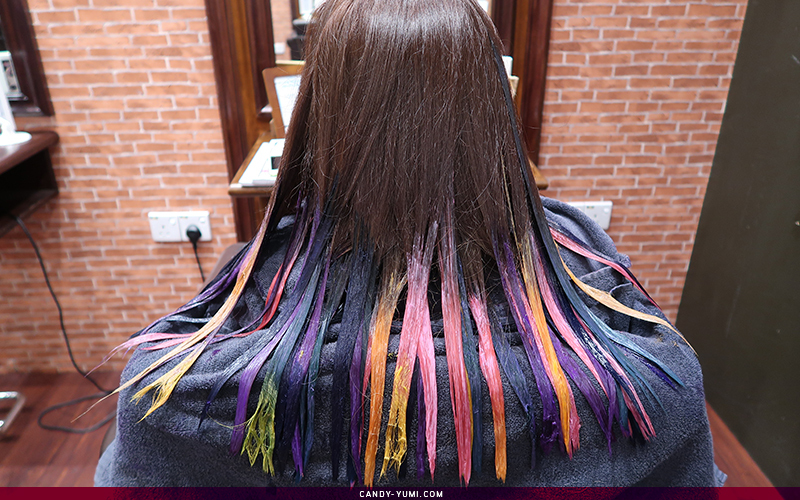 Who knew thanks to my indecisiveness, I'll be exiting the salon with rainbow ends! If you're interested in knowing how the process goes, remember to read till the end! The first thing Danny had to do was snip off my split ends :') After that I got my ends bleached with Olaplex to reduce hair damage. Ever since I had a horrific bleaching experience in another salon, I have been super paranoid over bleach. But Miko was really good in this, she blended the bleach nicely!! I also really like it when people talk to me while doing my hair because I'm generally a very awkward potato. 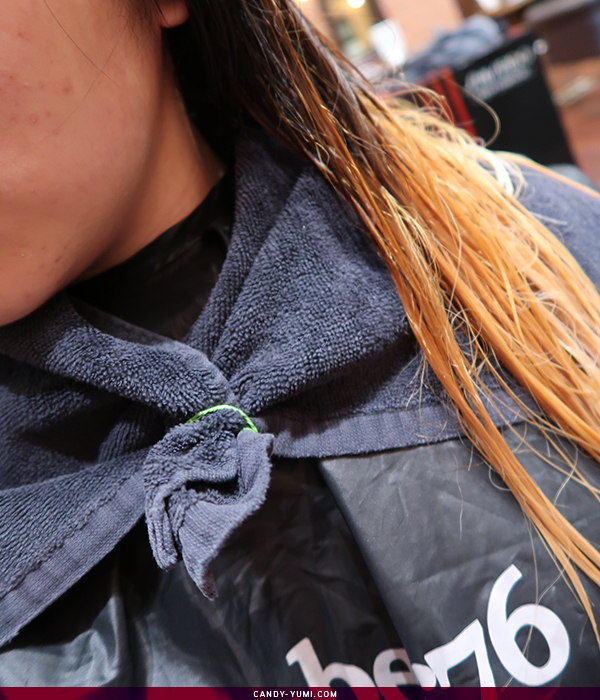 After bleaching, we had the top half of my head dyed to a cool tone brown shade. 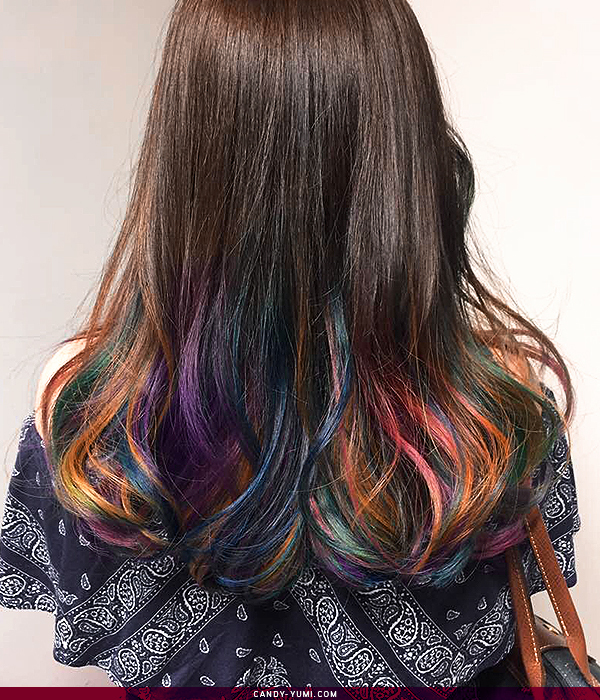 While the bottom half is coloured into variations of blue, green, purple, pink and a few strands of yellow and orange for fun. I really liked how Danny had these colours mixed and blended so nicely! I entered the salon with a bunch of pinterest screenshots of different hair colours and thought since I couldn't decide what colours I wanted I'll just get a brown ombre but in the end we went ahead with a bunch of colours! After washing off the dye + 3 step deep layer treatment, Miko's blowing my hair dry. 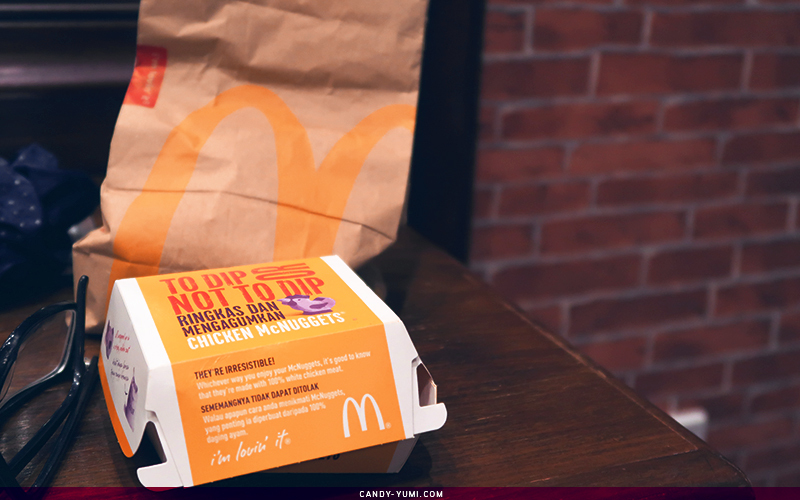 Before I reveal the final results let me just thank my mom for dropping by the salon and getting me nuggets for lunch! I thought I'll be done in 3 hours, totally did not expect to spend 6 hours in the salon haha. And viola~ 6 hours later here's the end results of my hair! 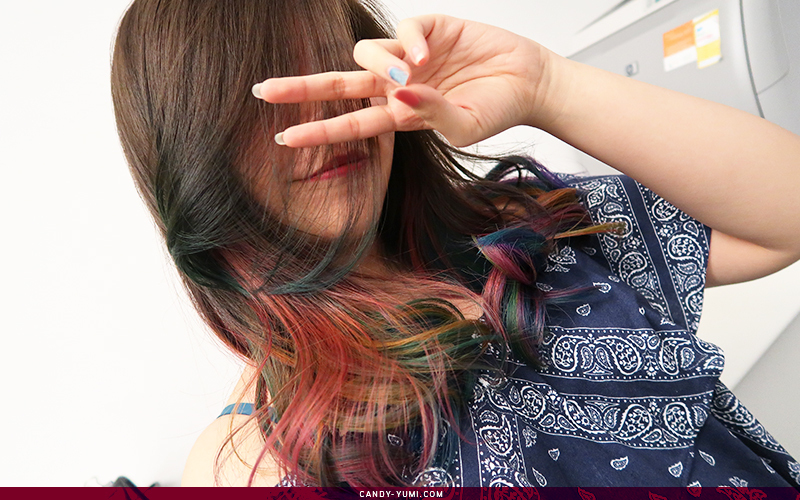 Under darker lighting and through human eyes, my hair colour isn't that vibrant but it sure looks good in photos haha! Furthermore, because I only had to bleach once, I didn't expect so much colour to show up. You can say that I'm truly impressed! Also, my hair condition is so much better now! 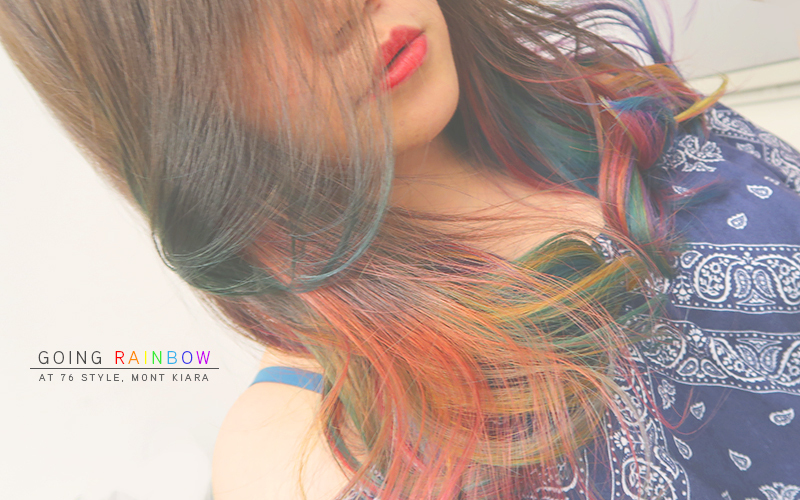 Now you guys must be super curious how much $$ it will cost to get rainbow ends like mine right. I will be very honest, it's not cheap and the prices vary depending on your hair condition and length, but it was worth every ringgit spent. My grand total came up to RM766.08 after 15% discount. 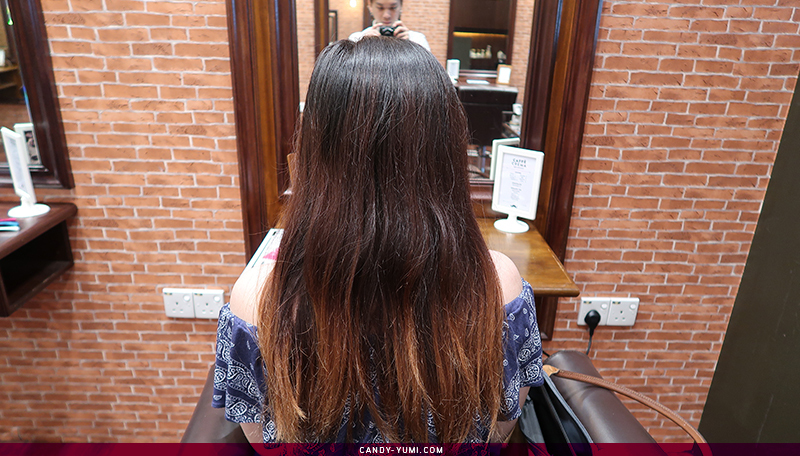 This includes: hair cut (RM76), Deep Layer 3 Step treatment (RM168), Bleach + Colour with 15% disc. ( RM447.1), and lastly add on Olaplex (RM75). 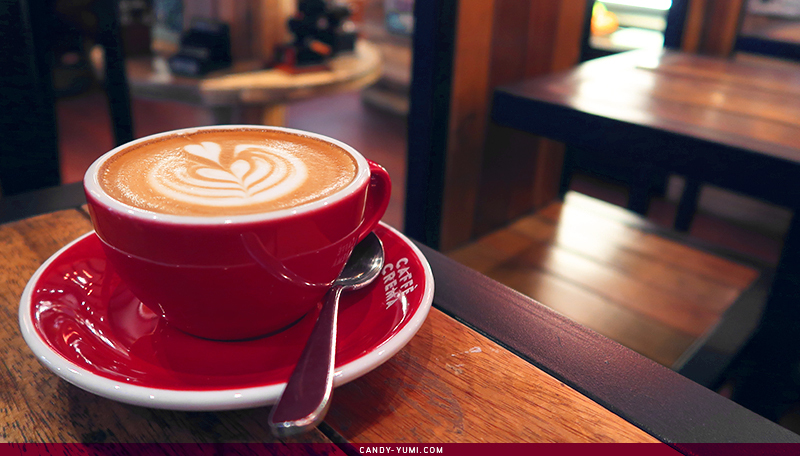 Oh ya, before I forget here's a cup of latte I absolutely love. 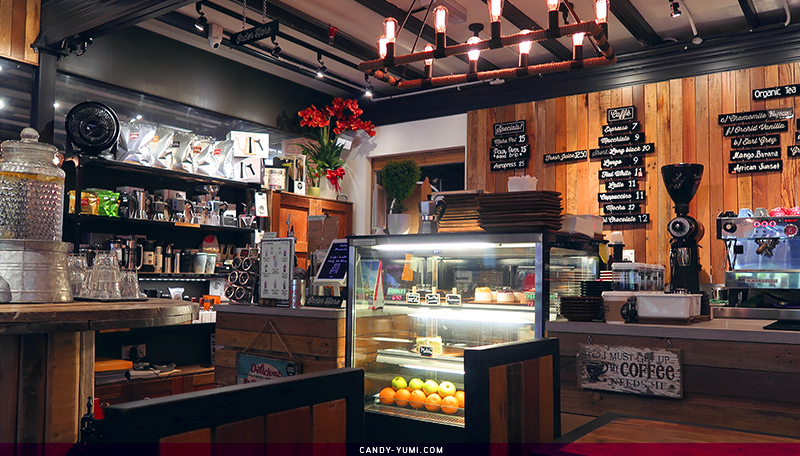 Caffe Crema is a cafe right next to 76 Style and you'll need to enter this cafe to enter 76 Style. 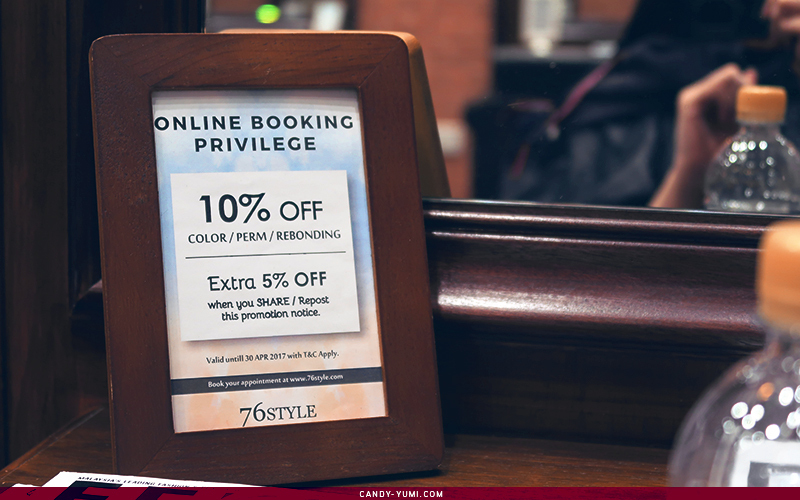 So if you're planning an appointment, you definitely won't miss this place. I generally spend my time here whenever I feel like working on my assignments with 0 distractions. 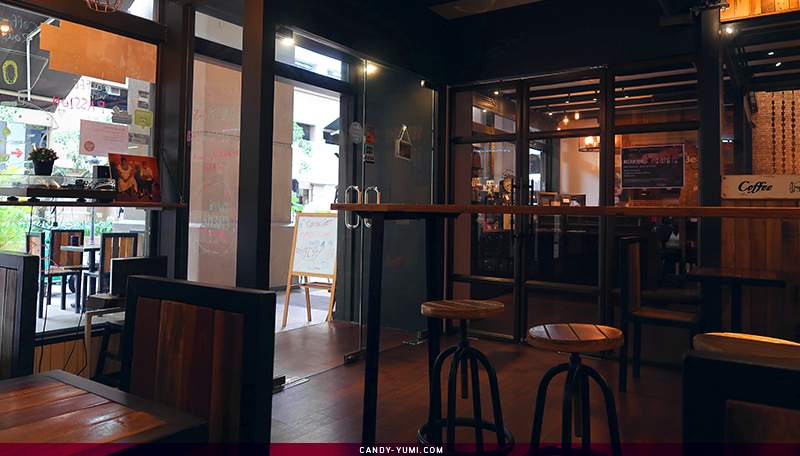 The place is pretty cozy with decent wifi, it does get kinda busy during lunch though, but no matter what, it still serves my favourite go-to latte. 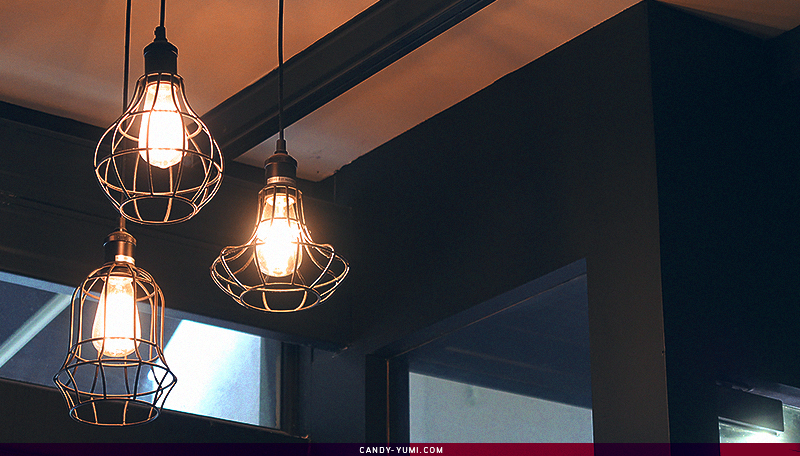 They have pretty lights too! On a totally unrelated note, I'm super excited to see all the other butterfly bloggers later at the Butterfly Project's birthday party round 1! 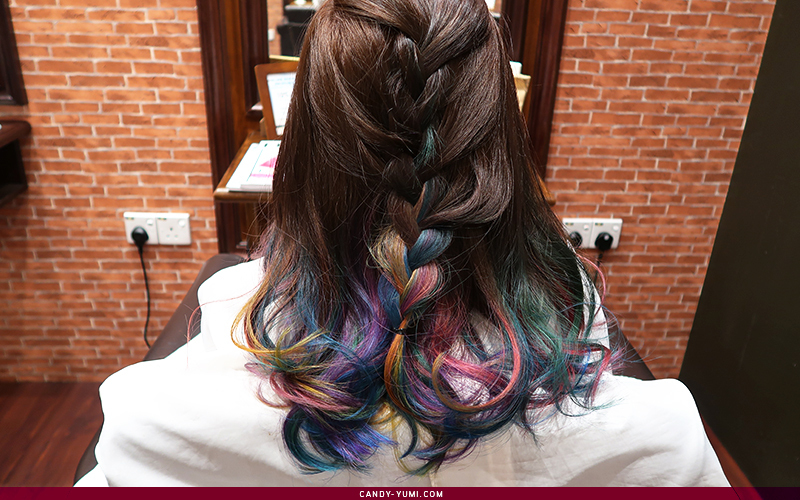 Once again, thank you Danny and Miko for giving me such colourful beautiful hair! Their hair treatment price is not as expensive as I expected! I think I should go one day already haha!